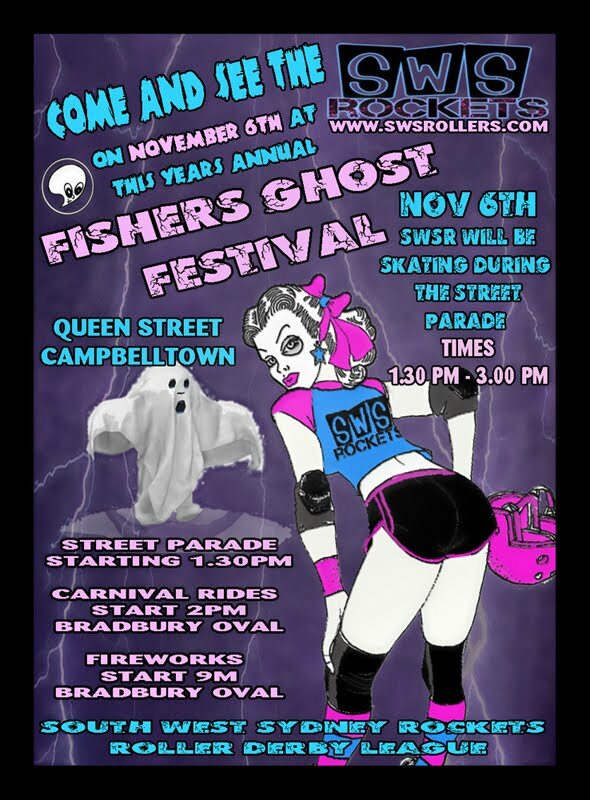 This year South West Sydney Rockets are thrilled to be a part of the Annual Fishers Ghost Street Parade festival being held in Campbelltown this year. Be Sure to come down on Saturday 6th November and show your support to the local community, South West Sydney Rockets Roller Derby League and the festival of Fishers Ghost! 12th November – Announcement of Street Parade participant winners !